The existential crisis of India’s only aircraft manufacturer, the Hindustan Aeronautics Limited (HAL), was tossed furiously into the public domain in dramatic fashion. On the day (January 4, 2019) that Defence Minister Nirmala Sitharaman was fending off a determined Opposition assault in Parliament on the Rafale deal, HAL chairman R. Madhavan went to press with the startling disclosure that India’s aviation behemoth was stony broke, and forced to borrow 962 crore to pay salaries and keep the shop floors functional. The timing of this damning confessional was even more remarkable given that the Government-owned HAL is in the middle of political crossfire between the Opposition and the Government over the deal to import 36 Rafale fighters from France. For a company which has consistently reported revenues of about 18,000 crore over the last many years, the nosedive has been spectacular. Madhavan complained about unpaid dues of 15,700 crore by the armed forces, including a default of 14,500 crore by its principal customer, the Indian Air Force (IAF) for products and services already delivered. The bill for receivables would be up to 20,000 by March 31. He disclosed that the IAF hadn’t paid since its last cheque of 2,000 crore in September 2017. Madhavan warned that if monies due to HAL didn’t come in urgently, it would be in the red by 6,000 crore by March 31, 2019, and thereafter forced to cease all activity across its 20 units. HAL didn’t stop here. The next day, it went on to join issue with its super boss, Defence Minister Nirmala Sitharaman herself, who, during her riposte to the Opposition in Parliament had declared that orders worth 1,00,000 crore to HAL had been processed by the Modi Government since 2014. The HAL brass was quoted by media dismissing the Minister’s assertion to Parliament, and insisting instead that not a single rupee from the “orders” mentioned by her had been received by the public sector company. Minister Sitharaman had declared in Parliament on January 4 that orders worth 50,000 crore for the Light Combat Aircraft Tejas MARK 1A, 3,000 crore for Combat Helicopters, 20,000 crore for the 200 Kamov-226 Light Utility Helicopters, 3,400 crore for 19 Dornier aircraft, 15,000 crore for other helicopters and 8,400 for aero-engines had been cleared by the Government. An embarrassed Government was forced into damage limiting mode after the HAL gripe. Minister Sitharaman clarified that contracts worth 26,570.80 crore had been signed with HAL between 2014 and 2018, and that contracts worth 73,000 crore were “in the pipeline”. The HAL disclosures assumed political significance because the Opposition had made the alleged neglect of this “national asset” and a “temple of modern India” as the main thrust of its attack on the Government over the Rafale deal. The consistent charge is that the Government favoured a private sector company with no background in the aerospace industry at the expense of HAL. The HAL top brass couldn’t but have known the consequences yet felt compelled to go public on its downward spiral. The revelations about HAL’s financial mess has left observers stunned. “This is unbelievable. All payments due to HAL and others are reflected in the budget estimates. Unless there’s a cash crunch in the Ministry of Defence itself, you can’t run out of money for instalments which are budgeted,” says former IAF Chief Fali Major, responding with utter disbelief. After all, HAL still has an order book aggregating 61,000 crore. But it’s fast depleting. 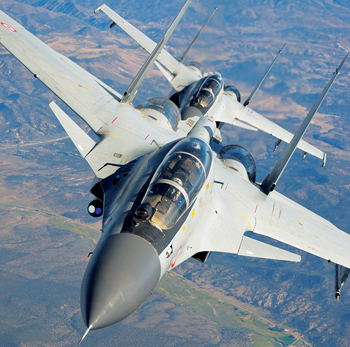 The existential threat stems from the prospect of its fighter aircraft assembly lines turning idle after the production run of the Sukhoi-30MKI comes to an end. Serial production of the Russian Sukhoi-30MKI has been HAL’s cash cow since 2003. But this is now entering its final lap. The last lot of orders for 44 Su-30 MKIs is expected to be delivered by 2020, after which HAL faces uncertainty. The expected order for 83 LCA Tejas Mark1A will bring obvious relief but this is not enough to dispel a doomsday scenario at the aircraft manufacturing monopoly, where fixed wing aircraft account for 70 per cent of the capacity. Two decisions of the Modi Government have pushed this public sector giant, always dependent on the Government for business, into the current uncertainty: The scrapping of the MMRCA tender – which would have assured HAL continuation of its primary business with a serial production order for 108 Rafale aircraft – and the termination of the joint programme with Russia for the co-development and production of the Fifth Generation Fighter Aircraft (FGFA), the Su-57 or PAK-FA, the futuristic fighter which was intended to be acquired in large numbers as the IAF’s spearhead. HAL was sanguine in the belief that the MMRCA-Rafale serial production would provide the continuity bridge and existential wherewithal till the execution of the FGFA production. With the Government pulling the plug on FGFA and reducing the Rafale numbers to 36 direct imports, HAL is suddenly staring at a dark abyss. Observers blame HAL’s contentment with Government orders, its inability to compete in an open market and its failure to pursue exports as the reason for this impasse. “HAL has a flawed business strategy. A $3 billion turnover aerospace company that doesn’t export will find it difficult to survive,” infers Air Marshal M. Matheswaran (Retd), who has worked as IAF’s interface with HAL. “It needs to understand and accept that it cannot survive on IAF orders only,” he says while finding it noteworthy that the company’s export account for less than 500 crore of its 18,519 crore turnover. Over decades, HAL has earned its bread and butter by serial producing foreign fighters like MiGs, Jaguars and Sukhois to feed the IAF’s hunger for fighter aircraft. But its in-house design and development facility stayed limited, focused mostly on helicopters. Air Marshal Matheswaran submitted a report recommending that the 20-unit monolith be split up into several professionally-run companies, and that the Government should exit management while retaining a golden veto in order to ensure performance and accountability. He cites the turnaround of the French Dassault and Brazilian Embraer as illustrative examples of this strategy. “In the current circumstances, it is ridiculous that 20 units under 11 divisions spread over nine locations, each with a separate business case, should be clubbed under one monolith. It is inevitable that inefficiencies are built into the system. 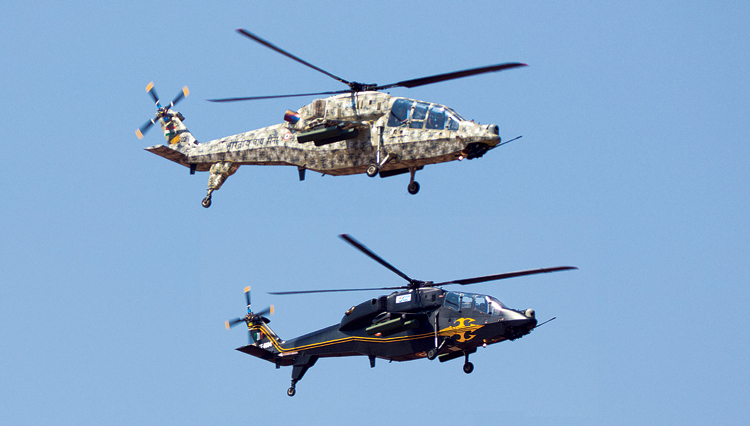 The fixed wing and helicopter divisions should be separate companies,” he reasoned. LCA Tejas: A culture of delays has also contributed to the mess India’s Aerospace Monopoly finds itself in. 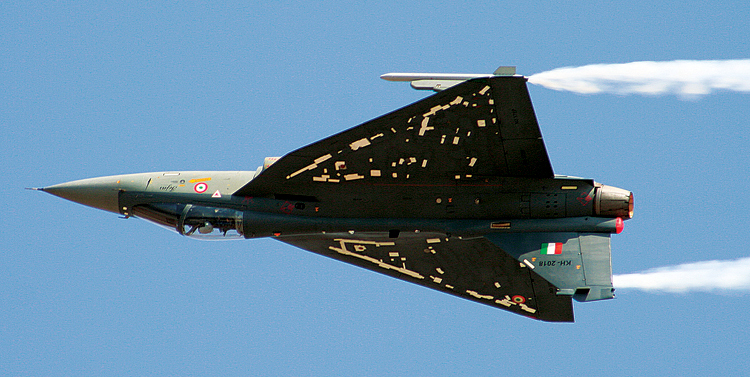 Failure to meet deadlines has stalled the signing of the over 50,000 crore contract for 83 LCA Tejas MARK 1A fighters. The payment of 11,000 crore by HAL to the Government in dividend and share buy backs over the last five years is also cited as an example of poor forward planning and bad management. This stripped the company of its reserves. “How can this company be run profitably?” asks Matheswaran, arguing that government-controlled management is unviable for a high-tech company in a competitive environment. The other existential shock for HAL is the opening up of aerospace to the private sector. Although it still commands vast advantage and resources having functioned as an aircraft manufacturing monopoly for decades, it will henceforth have to compete with more nimble private players for building India’s next fighter, which the Government intends acquiring through the strategic partnership model. Under this model, Indian companies, both private and public sector, will tie up with top foreign manufacturers to submit competing bids to win the order for making fighters in India. Its culture of delays has also contributed to the mess the company finds itself in. At a press conference in October 2018, Chief of the Air Staff Air Chief Marshal B.S. Dhanoa lamented that the delivery of Sukhoi-30s was three years behind schedule, the LCA Tejas five years late already while the Jaguar and Mirage 2000 upgrade programmes are six and two years late respectively. Payments are linked to milestones, and with each of the projects running late, cash flows do not come on schedule, throwing the financial planning completely off gear. As of now, the LCA Tejas appears to be HAL’s lifeline, but that is dependent on other stake-holders, particularly the DRDO Aeronautical Development Agency – also mired in endemic delay – delivering its part of the bargain. The big irony is India’s biggest and most vital Defence PSU facing an existential crisis after recording its highest-ever turnover of 18,519 crore only last fiscal. 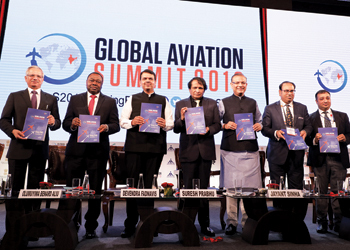 The momentum of the past will ensure that it will stay the principal aerospace player in India over the near future. But it’s clear that it can’t be business as usual any more, and the HAL will have to fight to hold on to its pre-eminence.